In Kyalami just outside Johannesburg there is a man that seems determined to "tame" the feared African scutellata bee. Together with Elardus Erasmus at the Potchefstroom University, Barry Sergeant is working with instrumental insemination to select for a gentler and better bee for commercial beekeeping in Southern Africa. 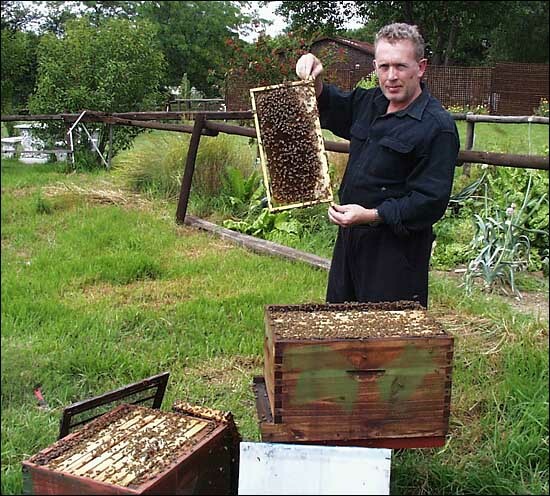 Barry with one of his breeder queen hives. Scutellata breeder queen with her attendants ignoring us. The queen is laying an egg while we watch her. 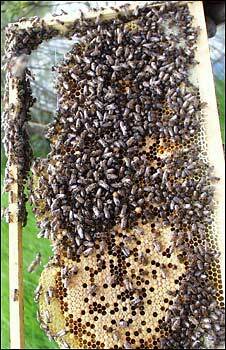 This is a small swarm of wild scutellata bees. 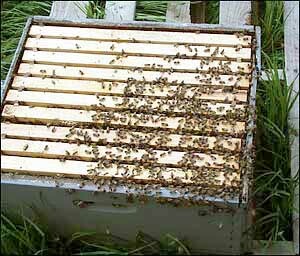 They start running as soon as we opened the hive. 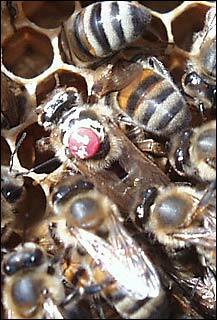 After a while, the bees boil out of the hive, displaying classic scutellata behaviour. 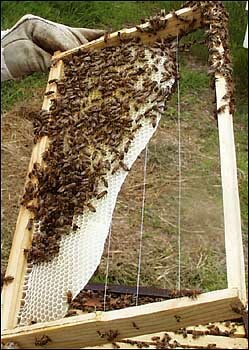 The pedigreed bees (left) get only a small strip of foundation at the top of the frame, and build the comb themselves to the prefered cell size. 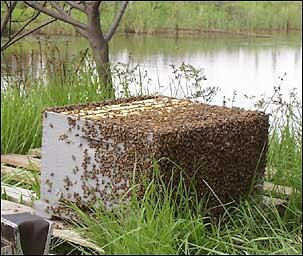 During the selection process the bees have been upgraded in size, and now build 5,2 mm cells, like european bees. 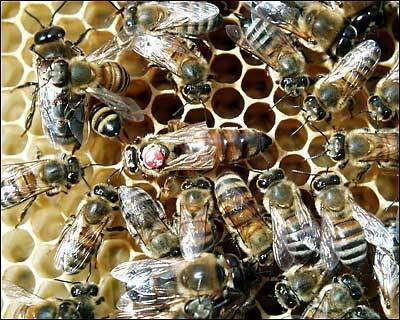 The wild bees build cells around 4.8-4.9mm. Wild bees (right) build smaller cells.